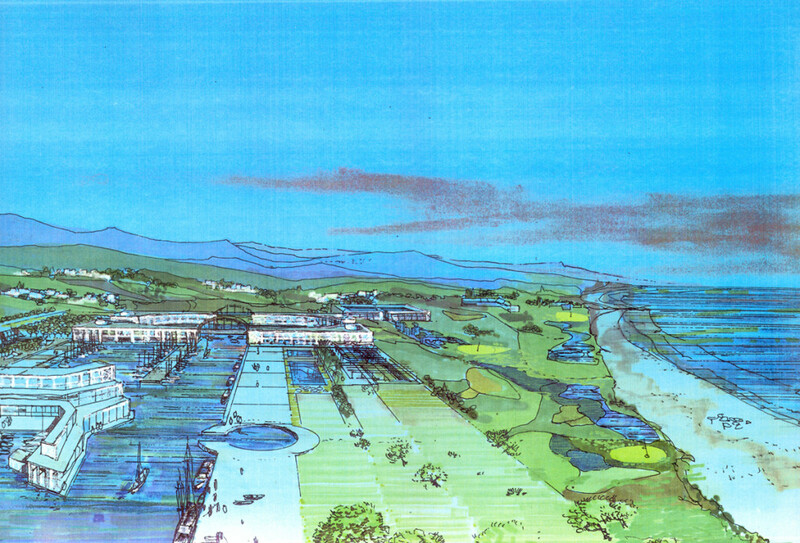 We consider important the proposal for the beach surroundings, its pedestrian and road accesses, the parking areas location and the complex general operation which has to coordinate public and private purposes. 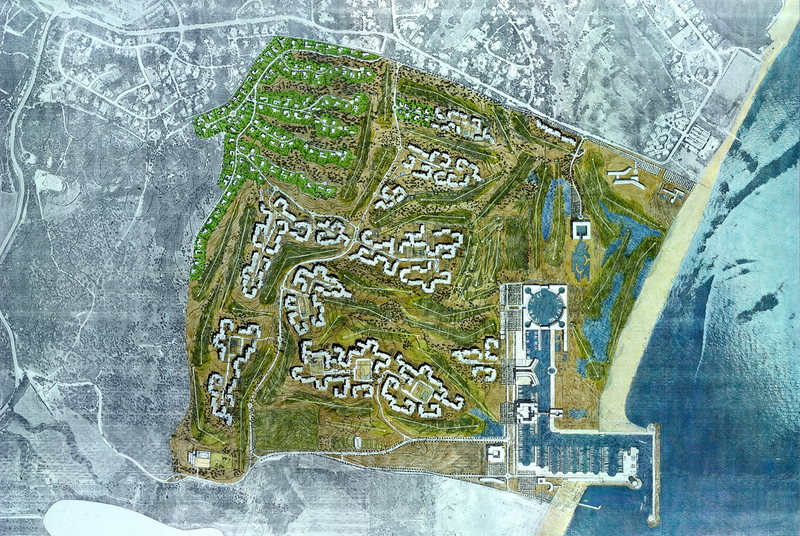 In order to take advantage of the closeness to the sea, we study the situation of the buildings in relation to water, the position of the Marina and the connection between the golf course and the sea, as well as the beach and its surroundings. 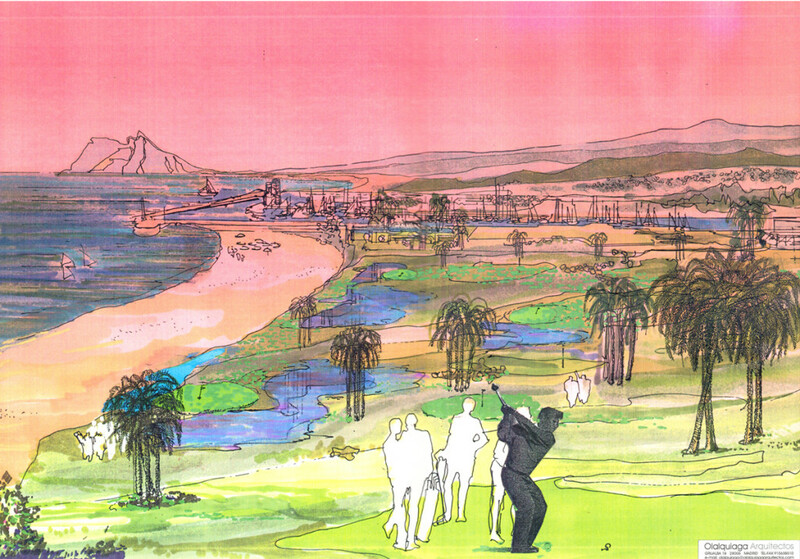 We propose a representative multi-use building which houses much of the community services and links the main areas -the golf course, the beach and the hippic complex-. 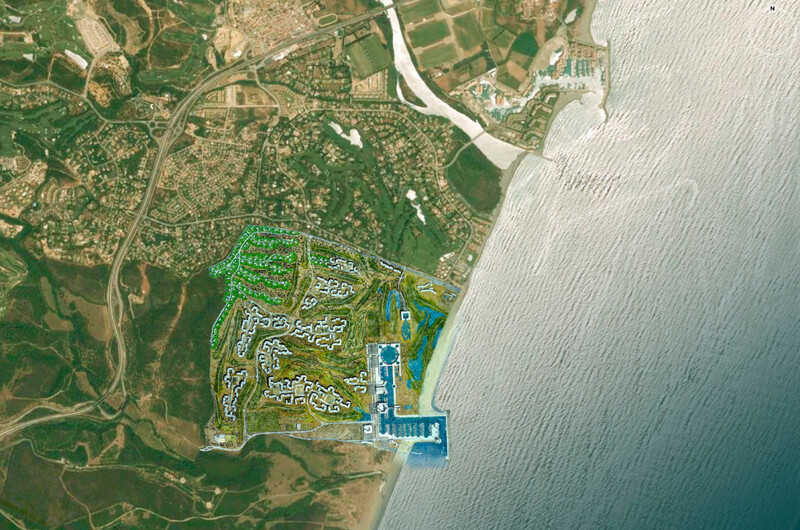 We design a 54 holes golf course, and we propose hotels that combine and be surrounded by these areas and water. 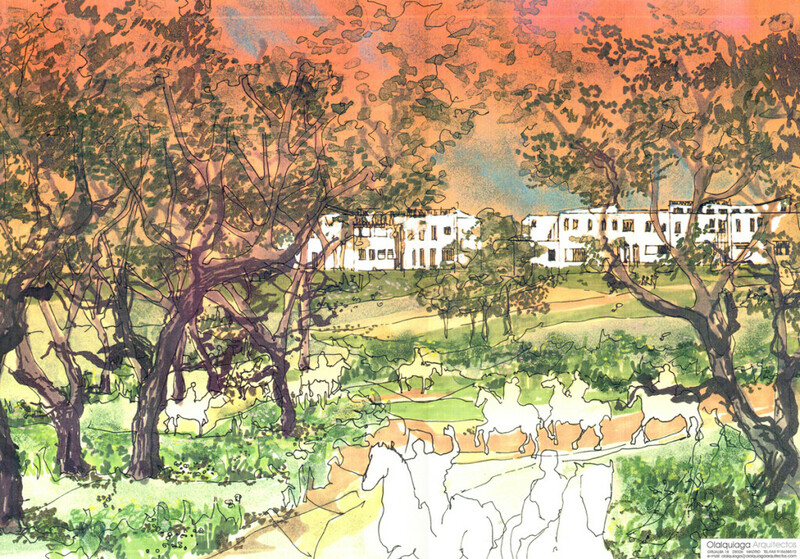 The country club consists of stables, a covered riding school and an uncovered one, locker rooms, a public house, a competition track, a polo field and a system of riding routes. 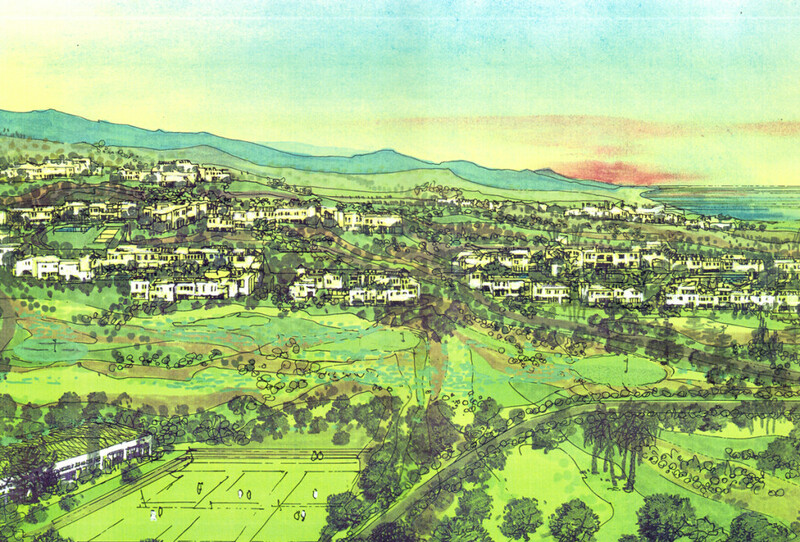 There are other sport facilities like a grass field –football or hockey-, a covered sports center –basketball, handball, volleyball, etc.- and tennis and padel courts.